Rajasthan Medical Education Society Jobs Recruitment 2017 for Professor, Associate, Asst Professor, Sr Demonstrator Posts: Rajasthan Medical Education Society has Released Recruitment Notification for Professor, Associate, Asst Professor, Sr Demonstrator – 208 vacancies. Interested for getting Professor, Associate, Asst Professor, Sr Demonstrator Vacancies, May Apply Online from 22-09-2017 Hrs on wards. Qualified in medical education are looking for this job they should be as per MCI Norms. Candidates age limit 18 to 70 years as on 01-1-2018, Age relaxation is as per Govt rules. Applicant have to pay Rs.2000/-. 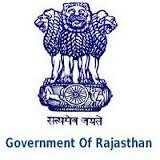 Interested candidates can apply online application forms by visiting the website “www.education.rajasthan.gov.in” on or before 22-09-2017 at 12:00 Hrs on wards. & send hard copy of the online application with relevant documents and full details of qualification, experience along with receipt of payment of fees Rs. 2000/- send to the Directorate of Medical Education, “Chikifsa Shiksh a Bhawan” Govind Marg, Adarsh Nagar, Near pink Square Mall, Jaipur (Raiasthan) 302004 on or before 25-09-2017 at 05:00 PM Hrs on wards. Last Date of Online Application: 22-09-2017 Hrs. Last Date of Receipt of hard copy: 25-09-2017 by 05:00 PM Hrs. Rajasthan Medical Education Society Jobs Recruitment 2017 for Professor, Associate, Asst Professor, Sr Demonstrator, Sr, Jr Resident Posts: Rajasthan Medical Education Society has Released Recruitment Notification for Professor, Associate, Asst Professor, Sr Demonstrator, Sr, Jr Resident – 520 vacancies. Interested for getting Professor, Associate, Asst Professor, Sr Demonstrator, Sr, Jr Resident Vacancies, May Apply Online from 06-04-2017 Hrs on wards. Candidates age limit 18 to 70 years, Age relaxation is as per Govt rules. Interested candidates can apply online application forms by visiting the website “www.education.rajasthan.gov.in” from 18-03-2017 to 07-04-2017 Hrs on wards. & send hard copy of the online application with relevant documents and along with 2 Recent Passport Size Photograph and Self Attested Photocopies by ordinary post to Director of Medical, Chikitsha Bhavan, Govind Marg, Adarsh Nagar, Near ink Square Mall, Jaipur-302004 (Rajasthan) on or before 06-04-2017 Hrs on wards. Last Date of Online Application: 06-04-2017 Hrs.